I hope you are all well! 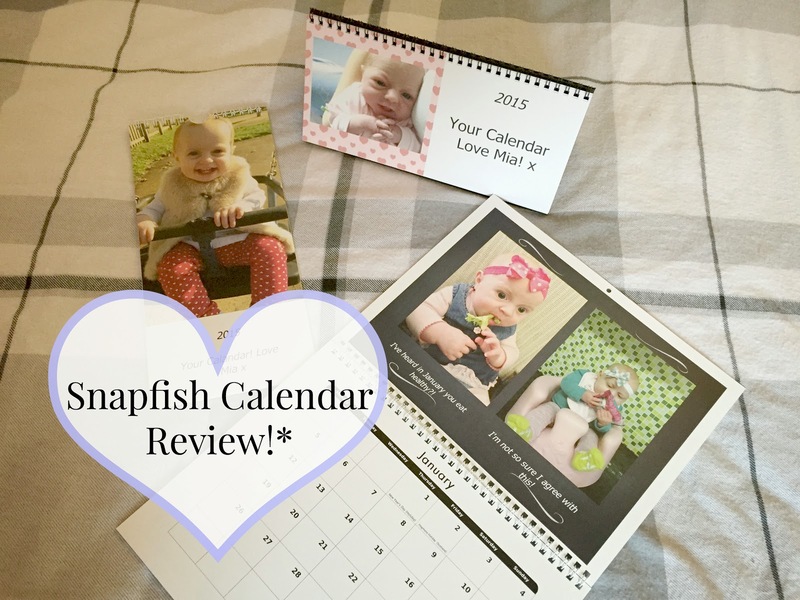 I have been asked to review some Photo Calendars from the company Snapfish, I'm sure most of you may of heard of them or maybe even used them before. They are an online company designed by HP, who deal with pretty much anything photo related. Prints, Photo books, Calendars, Cards, Wall art, Gifts, you name it they will probably do it. I was so excited when I was asked to design a few different calendars and review them. I had been wanting to do a calendar of Mia for ages, so I jumped at the chance. Now I can share with you what I made and how it went! There are lot of different calendar options to pick from, I did three styles. It is brilliant that you can pick sizes and styles, pretty much everything is customisable. However I did find that uploading photos wasn't the easiest, it takes quite a while and when you are trying upload a lot of photos, it isn't really that simple as you have to select each photo using Ctrl with windows or ⌘command on a mac then upload! I had to do this several times to get all the photo's that I needed. When you start designing your calendar, I really like that you can pick which month you want your calendar to start on, so you can get your calendars anytime of year! This also comes in two other, larger sizes. Each page can be a different photo layout, colour and style! If you don't want them to be the same, each page can be completely different! The one thing I really like about this particular calendar is that you can put a picture on special dates! I have done this for Mia's birthday and for christmas as well. 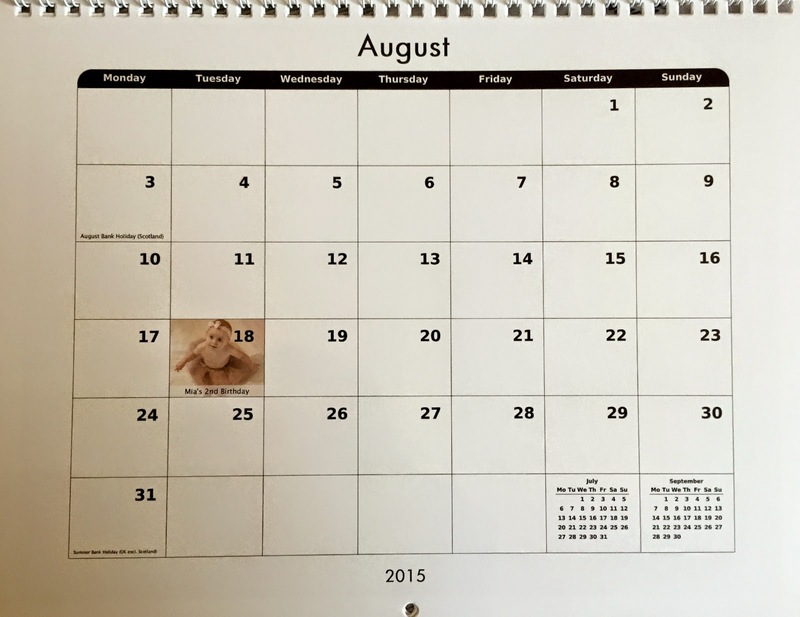 The desk calendar only comes in the one size, 10x5". 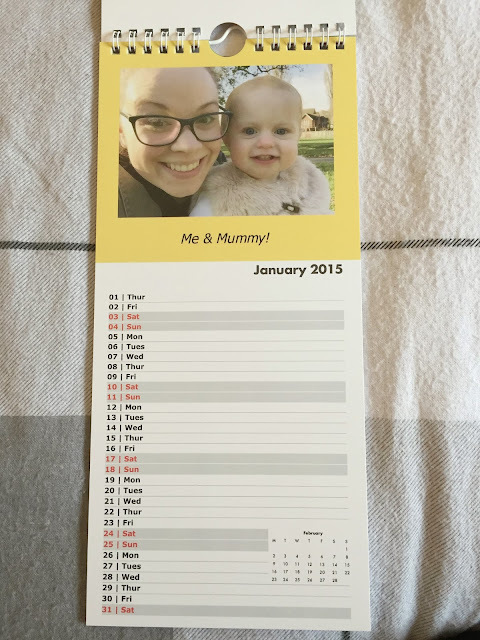 It has a simple calendar on it but again you can change and customise every page, to how you want it. On all of the calendars, you are able to have captions underneath the pictures, which I think is a really nice touch. I really love the front cover on this calendar, I thought that this picture was the perfect fit on the front! What do you think? Again you are able to change all the pages and put any photo layout you want on them. With the kitchen calendar you are able to leave important date reminders on it, just not with the pictures like on the Classic calendar. If you don't want to sit there for sometime organising all your photos, you are able to upload your photos and then press an auto button, that will place all of your photos selected on the calendar for you. This is a great time saver and prefect if you only have a small number of photos that you want to use! The postage and order time was really quick as well, I ordered these on the 5th November and I received them on the 8th November. 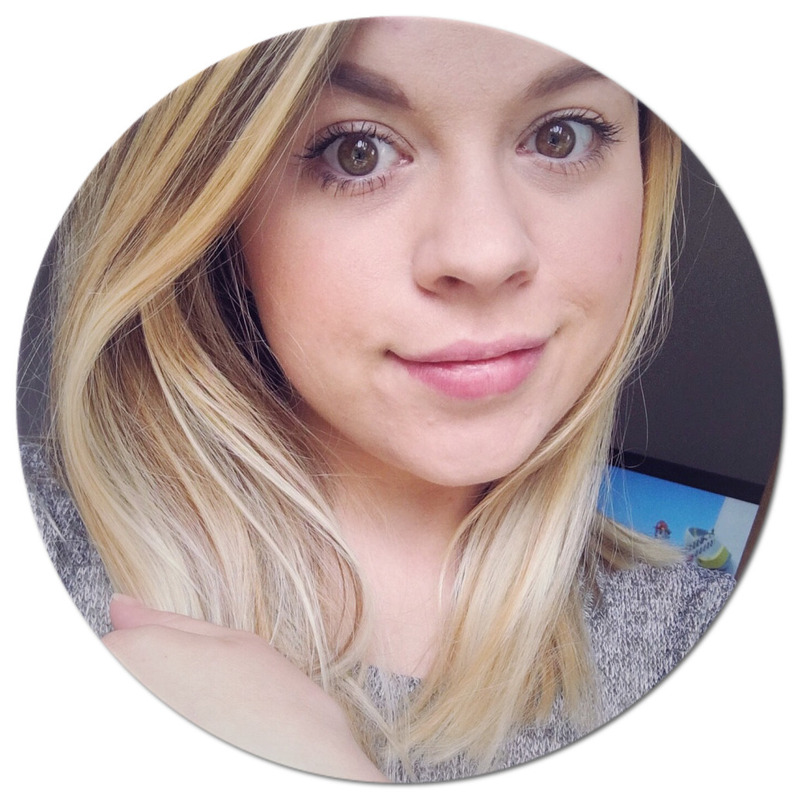 Pop over to Snapfish yourself and have a look at all the wonderful things you can design and have made for you! They have some really great offers! So you have seen all the calendars that I designed, what do you think? They would make a great christmas gift for anyone! 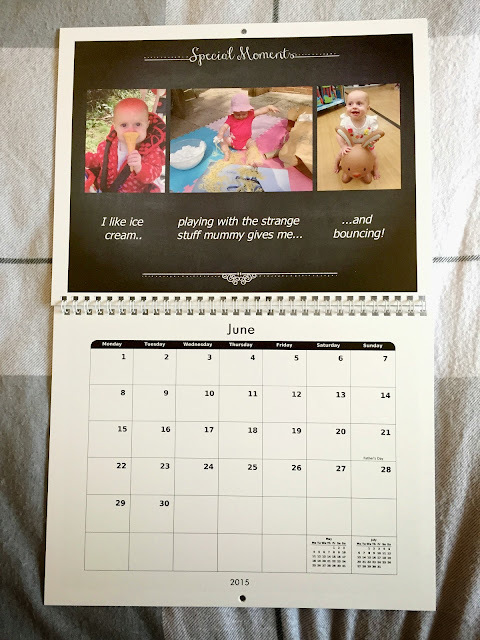 I would love to see any calendars you have done! 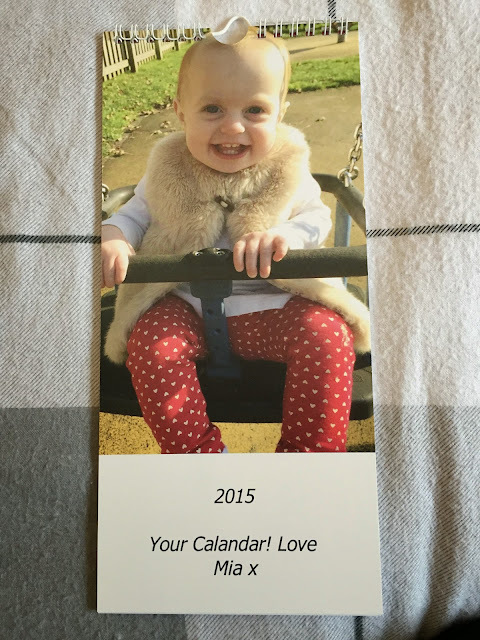 These are lovely photo calendars! I haven't gotten around to making any yet, but I think I’ll have a look at their website and make a photo calendar for 2015 (or two)!